Like Waterwise landscaping, firewise landscaping is a way of incorporating best practices into your garden. There is a lot of material written and available online on best practices. Obviously, we all cannot start with a clean slate, but we can start with some basics. We have prepared four simple one-page sheets that bring together information from various sources. The intent of these sheets is to give you some simple basic things you should be incorporating into your garden. Downloadable "How to" Articles: These articles offer checklists and how-to’s. In addition they include valuable links to more detailed information if you are interested in more information. For your convenience and ease-of-use, they are limited to 2 pages, that can be printed on one piece of paper. Defensible Space: What is it, what do you plant where? Red Flag Warning Days: Who declares the warning, what should you do when a warning is issued, how do you prepare before. Watering and Mulching: What are the best mulches, how do you mulch in various areas around your property? Yard Maintenance: How to add into your routine the best practices for fire prevention. Ongoing Articles on Firewise Issues: On an ongoing basis we will be posting articles on issues that are fire related that provide general information with more specific and detailed links. Fire Ecology of California: Understanding fires in California. Firewise Home Garden Design: Advice on how to make the property surrounding your house as fire resistant as possible. Trees in the Wildland Urban Interface: How trees affect fire risk, suggestions on dealing with existing trees, and considerations on planting new trees. 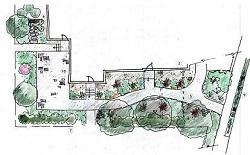 Resilient Garden Design: This describes the Water Agency collaborative effort that has created a series of landscape templates for homeowner use. Fire Resistant Plants? : Covers the main characteristics of plants that provide the best fire resistance and why a firewise garden is about more than plant choice. The New Normal - Sustainable & Firewise Landscape Framework; Video link here. Fire Effects on Soil; Video link here. Rebuilding Soil After a Fire; Video link here. The New Normal - Landscape Design for Defensible Space; Video link here. The New Normal - Maintenance & Water Use; Video link here. Consult the calendar for events and workshops.